← #4 – Would you like some ice with that? #5 – It’s a dog’s life……. Yet another week gone by without any days out in the hills, but all in a good cause, as we have been settling in our new arrival, a three year old Border Collie girl called “Mist”. We have had an unlucky year with dogs, losing one in a road accident and another to epilepsy, and I’m sure our friends who don’t have dogs probably don’t understand why we are doing it all again, and why another Border Collie? Why another BC is easy to answer. The breed was developed by working shepherds who wanted a dog to herd sheep in the upland areas of the UK, not by members of the Kennel Club designing a pretty looking dog. Over a couple of hundred years those shepherds have given us the best possible dog for the hills – a medium sized dog with strength, speed, agility and endurance. The looks of the dog were never important, but temperament was. The BC had to be gentle enough to round up a newly born lamb, but bold and courageous enough to turn an aggressive ewe protecting her young. Often working long distances from the shepherd, the BC had to be intelligent and able to ‘work things out’ without having to be told what to do. The BC can do all that, and do it all day and in all weathers. Because of these characteristics, Border Collies are an extremely versatile breed, being a “Jack of all trades” dog that can also be a “Master” of any task he or she is put to. This probably seems very “off-topic” for a blog about my days out in the hills and mountains, but there is a link. 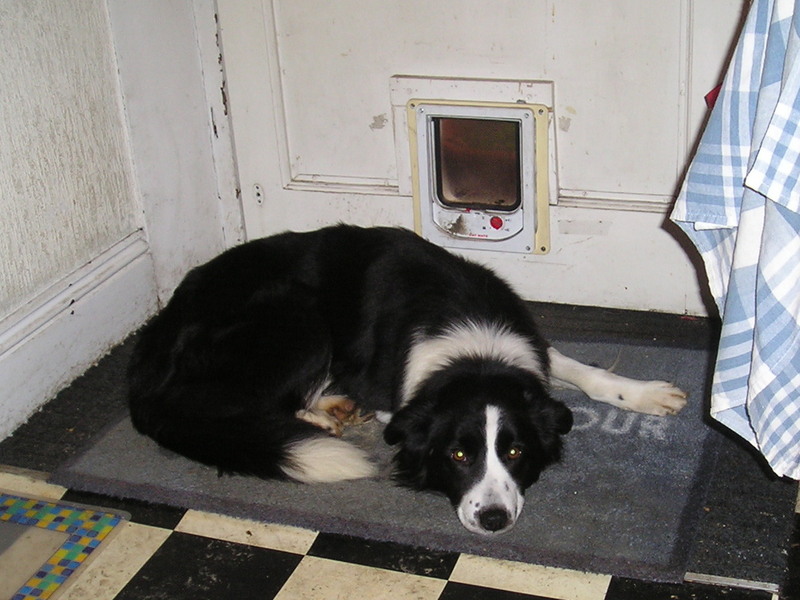 Twenty-five years ago my Border Collie “Matt” was a working mountain rescue search dog. 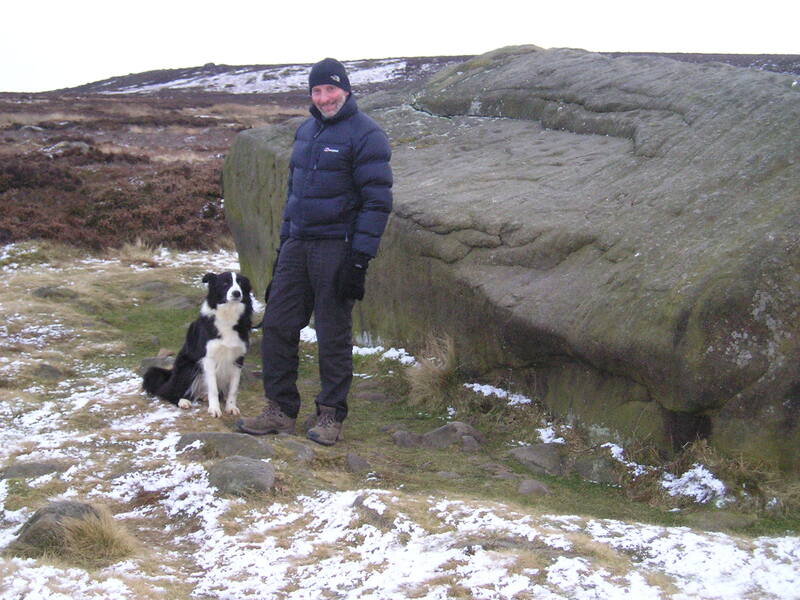 He was one of my best ever companions in the hills and mountains, as well as a much loved family pet. “Mist” will not be a working dog as “Matt” was, but for the adaptable Border Collie being a companion on days out in the hills is all part of the job description. Watch this space for further adventures. This entry was posted in 4. Northern England and tagged Border Collie, Ilkley Moor, Yorkshire. Bookmark the permalink. 2 Responses to #5 – It’s a dog’s life…….